While the abundance of contemporary Israeli jazz musicians no longer comes as a surprise, neither does Yotam Silberstein's talent. With Future Memories, the New-York-based guitarist from Tel Aviv offers up a new dimension, a new language. It’s one that’s clearly influenced by his travels, particularly through South America… Brazil, to be precise. He created this sixth album with the help of John Patitucci's 5-star bass, the Brazilian prodigy Vitor Gonçalves’ accordion, Daniel Dor's drums and percussion and Glenn Zaleski's piano. 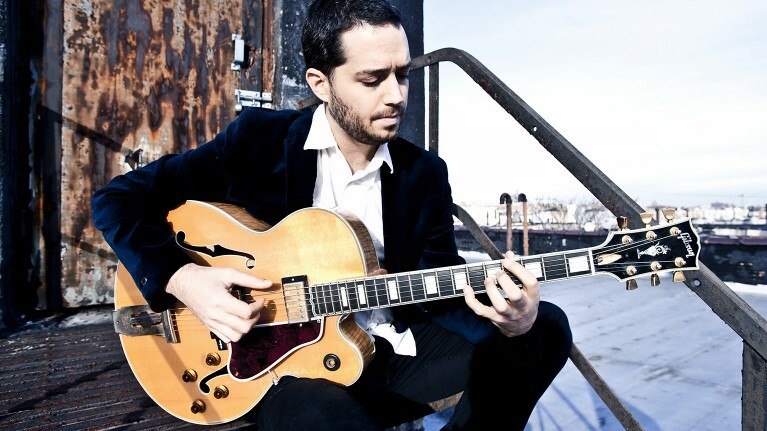 Having trained at the school of bebop alongside masters such as James Moody, George Coleman and Monty Alexander, Yotam Silberstein has always added colour to his elegant swing by incorporating world rhythms: milonga, flamenco, samba, choro... This time, his stylistic fusion reaches new heights. And this is, in his words, his most personal album yet.